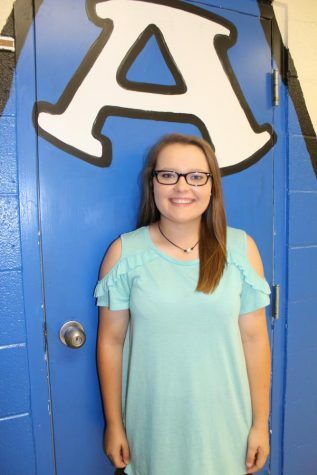 Armuchee sophomore, Whitney Sanford, has been attending Armuchee High School for two years. This is the first year Sanford has been on the Tribe Tribune staff. She is extremely excited about being able to work on the newspaper for her school. Sanford said, “I wanted to try something new this year, and it sounded really fun.” Sanford is also a part of the Armuchee High school softball team. She is a focused student and hard worker and will be a great asset to the Tribe Tribune staff. This summer Sanford played on a softball travel team and they had a successful season. Sanford said, “This summer was super fun being able to play with all my teammates.” Sanford’s favorite hobbies are playing softball as much as she can and hanging out with friends. She uses Snapchat all the time, and she considers that her favorite social media app because there is so much you can do on it. Sanford is proud to be a Lady Indian. She said, “I love how we are a close community and I can always count on someone if I need help.” This year we are very fortunate to have Sanford apart of the staff.